Set contains 1 Gear shift knob, 1 turn signal knob(1 extra for European model), 2 knobs for starter and choke and 2 knobs for lights and wiper switch. 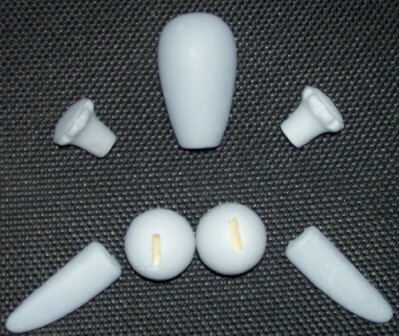 Knobs are plastic and attach the same as original equipment with threaded metal inserts. They come primed and ready to paint.